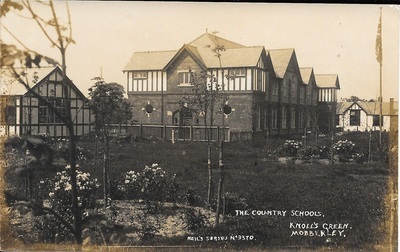 In 1904 a number of private Manchester citizens led by Herbert Philips leased five acres of land ten miles outside the city and erected a permanent camp where teachers and pupils of the city schools were sent out in relays for a two-week "change of air and scenery". It was intended as an experiment to last for five years. Two permanent buildings and a number of tents on the ground afforded accommodation initially for some one hundred and twenty, later expanded to two hundred and forty beds. A resident matron and a corps of assistants had charge of this vacation colony which from its very beginning had the support of the Commission for Education and later on was taken over by the city and made part of the regular school system. 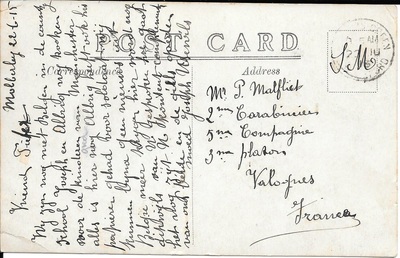 Each teacher and pupil paid seven shillings for the outing including the railroad fare both ways. It is likely looking at the maps from that time that the land in Great Warford, just beyond the Rose & Crown (now the Frozen Mop) was owned by Lord Stanley of Alderley. An account from that time is attached below. 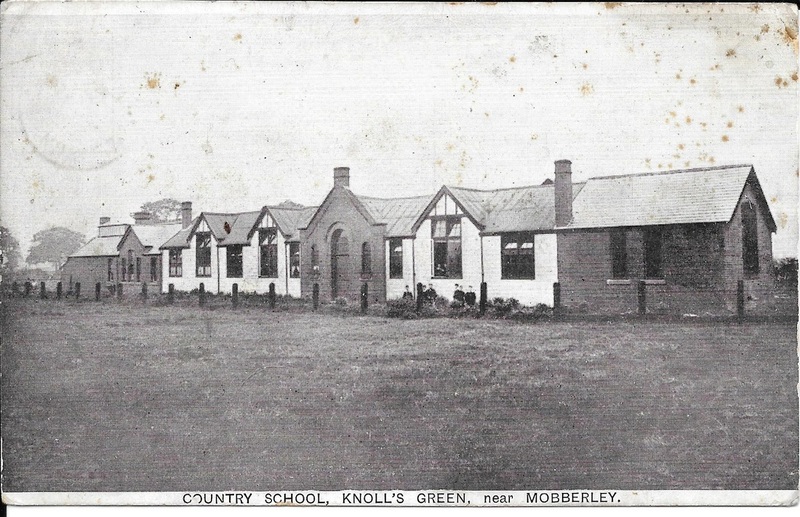 The Liverpool Echo reported on 28th April 1905 that the school was reopening for the summer and that about eighty children resided there. On December 16th 1907 a newspaper article reported that The Manchester Education Committee was to accept an offer to take the school into its control and accept the freehold. The Reverend S Nugent Perry was the secretary at that time. 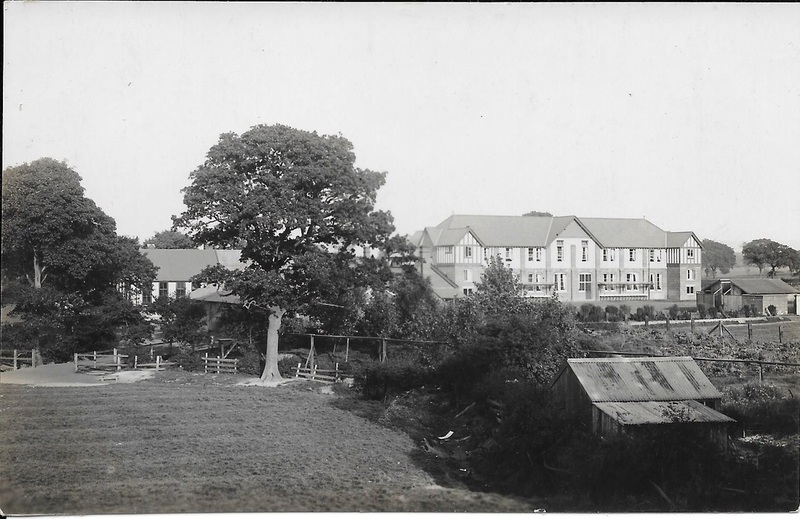 With the outbreak of the Great War in 1914, the school became a refuge for Belgian refugees. 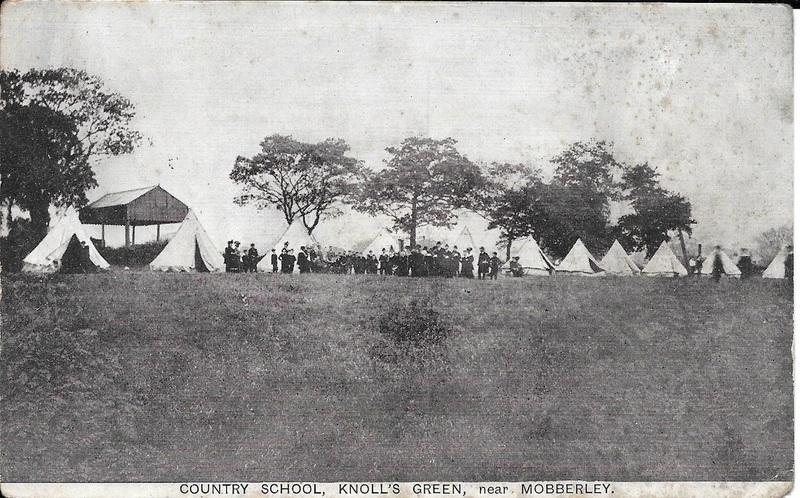 The newspapers reported on October 17th 1914 that 380 had arrived in Manchester making 600 in total and that the first batch had been taken to the Manchester Country School in Mobberley. 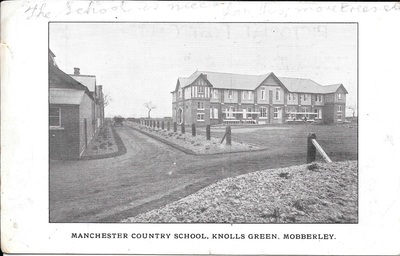 It is not easy to piece together what happened during the four years of the Great War but the records held at the Manchester Central Library confirm that the School reopened on 3rd September 1917 with 44 boys and was in future to be known as the 'Open Air School for Delicate Boys'. 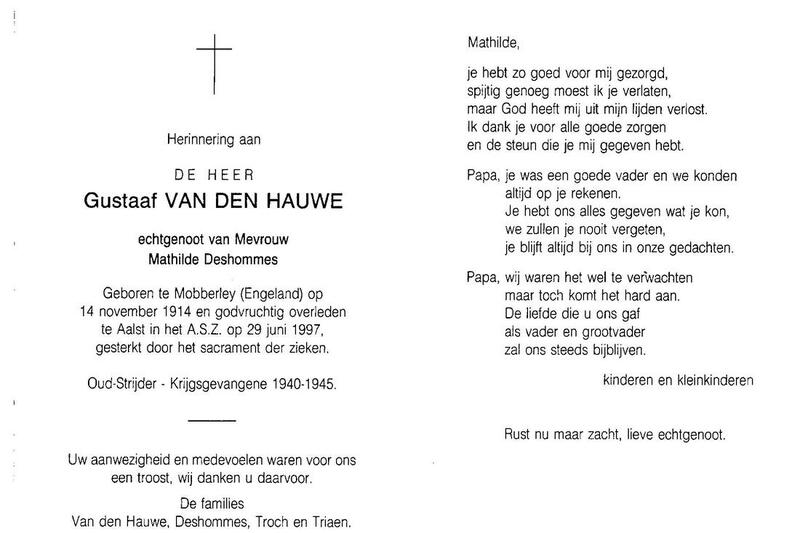 It seems therefore that the Belgians may have been moved on before the war ended. 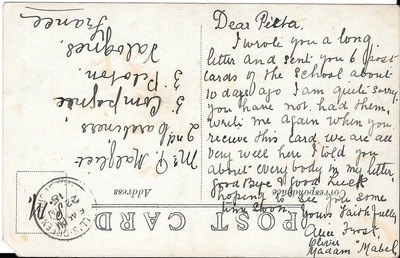 Each week a doctor visited to examine the boys, sometimes discharging them as fit for school. At the end of a holiday it was not unknown for a boy not to return. 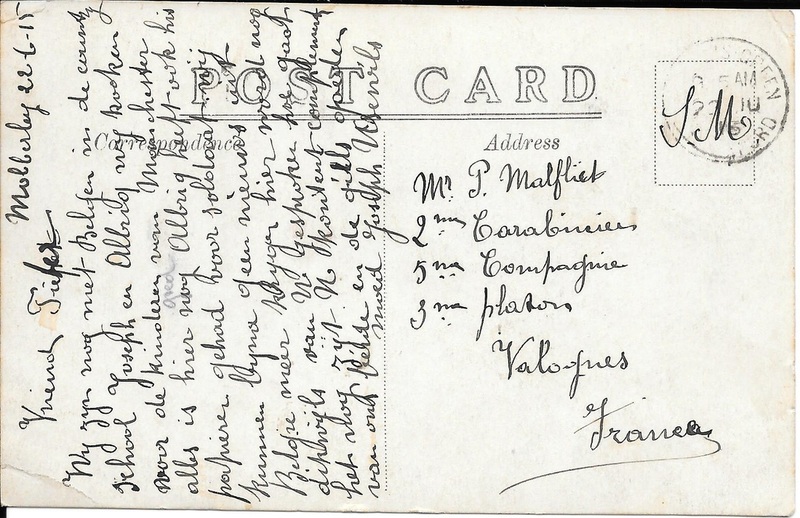 Many names and Manchester schools are logged as are visits both locally and to Manchester (by train). 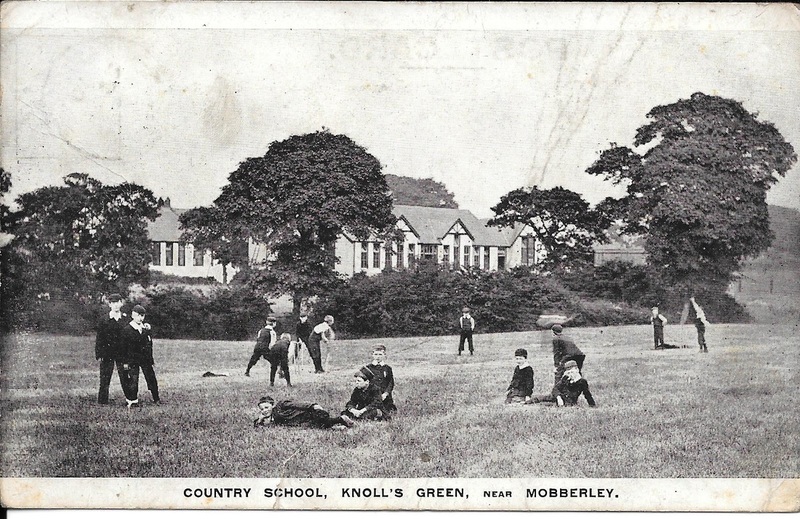 On 22nd November 1934 a football match was played against the Mobberley Scouts. On 31st August 1935 the Rector , The Rev Saunders presented the Championship Cup on their Sports Day. 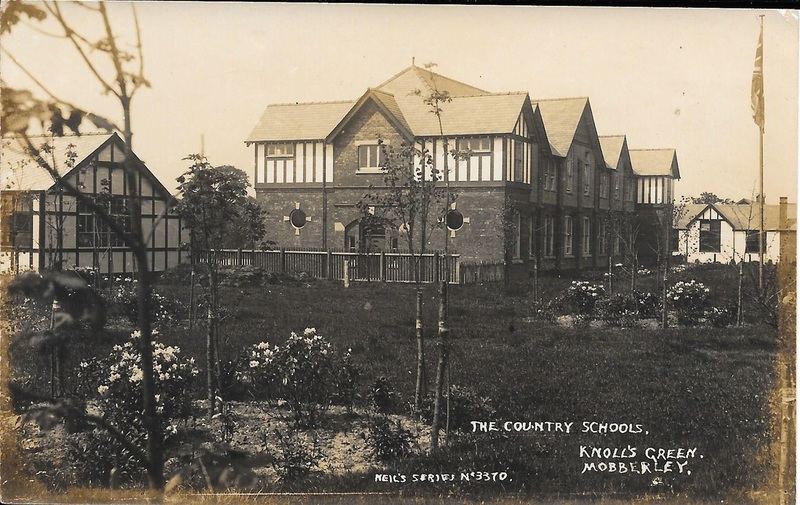 The School closed on 24th July 1936, its stock being transferred to Styal Open Air School. At this point the site became an 'Approved School'. 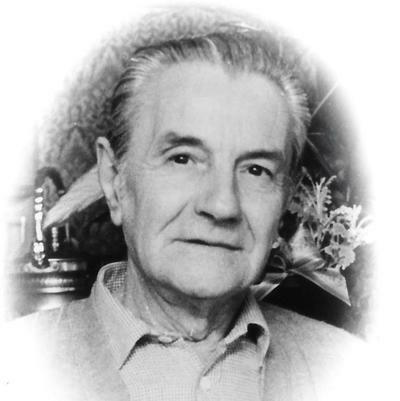 Its Headmaster Mr Alexander was a boxing enthusiast. The school closed in 1986, Mr Evans being its last Headmaster. The records will not be released until 2036. 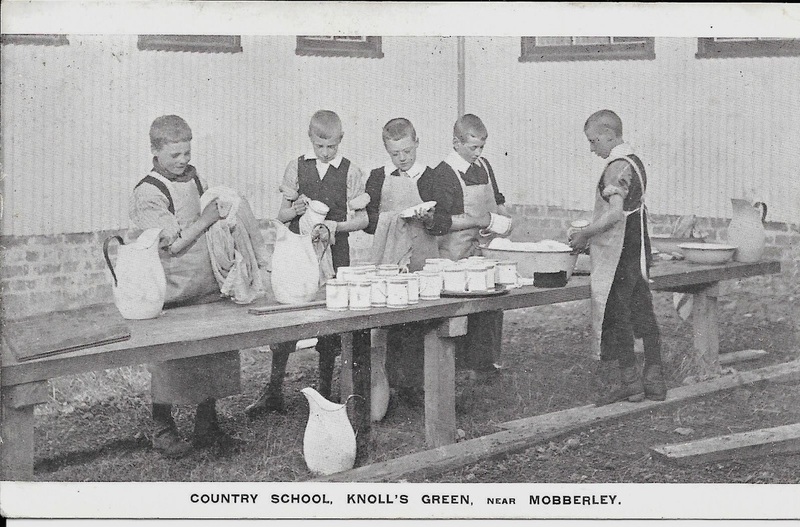 A party of Belgian refugees are guests of the Manchester citizens at the country school, Mobberley, where they are receiving every kindness. 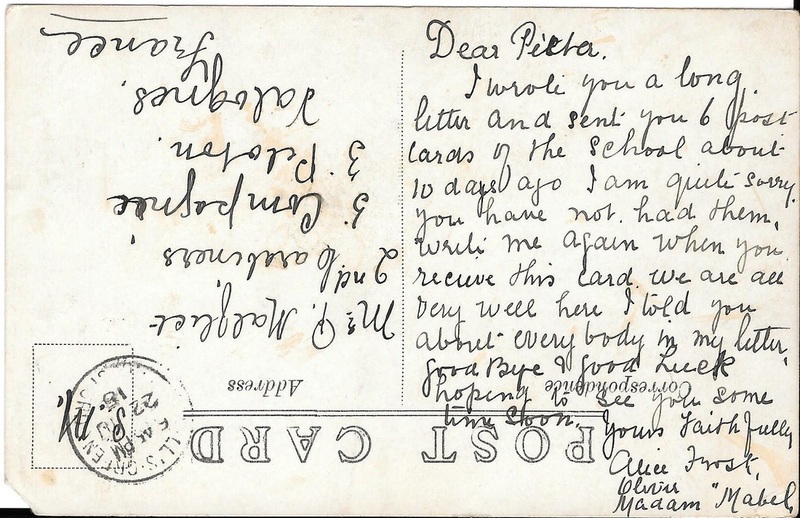 One of them, George Potis, speaks in warm terms of praise of the hospitality of the English, and in a letter to the Press he thanks the English people for their kindness and especially the people of Manchester and Mobberley. Never, he says, will the refugees forget the kindness now being meted out to them. 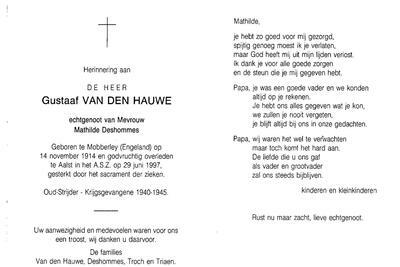 The funeral of Gustaaf Van Den Hauwe (above) says he was born on 14th November 1914 in Mobberley. 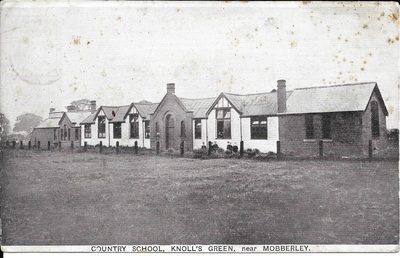 An account published in the Middleton Guardian on 3rd September 1910 when Elsie Gandy, a Moston child, went with a school party to Mobberley, to "a country school at Knolls Green"
The cost for two weeks was seven shillings each, but there was one shilling for the railway fare, leaving six shillings for the fortnight. When Elsie's school went, the head masters got a special car for them, "so that the car fare was twopence there and twopence back." The car took them almost to the Central Station, and the train to Mobberley did not take long. "When we got off the train we left our luggage near the station piled up ready for a cart to come and take it to the school, because we could not very well carry it all the way, and then we started to walk to the school. It was a very long way. I think it was over two miles to thr station." 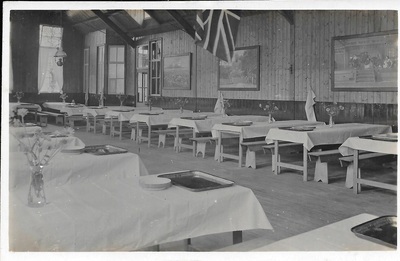 Tea was nearly ready when they arrived; what they were given is not recorded, but Elsie found the food "plain, but very good, and they make hot dinners every day. we could have as much as we wanted at any of the meals." 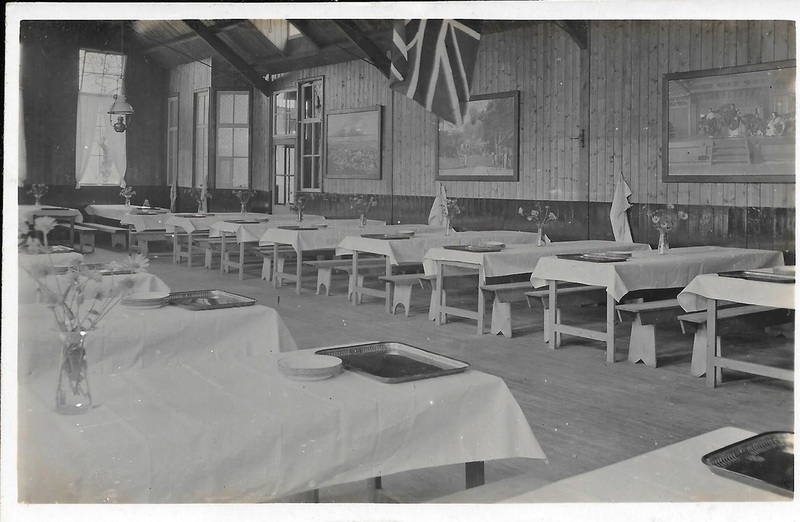 The children sang 'grace' before and after each meal, and always sat in the same place at each mealtime. She was obviously impressed with the bedrooms, "which are called dormitories.... long rooms with beds on either side. 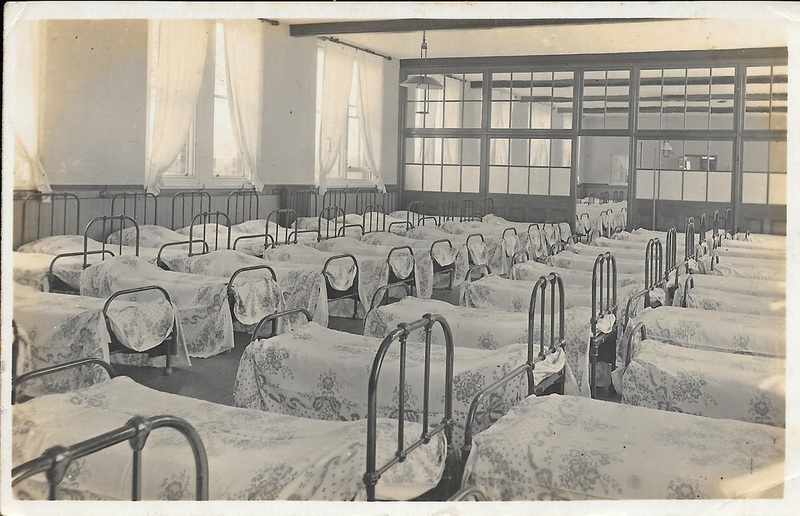 These dormitories are kept very nice and clean, and the teacher of each school has to pick some girls for monitoresses, and these girls have to see that they are kept tidy." 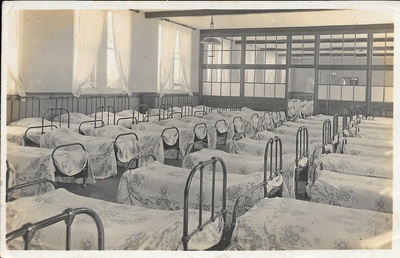 Children made their own beds, but as they are "just big enough for one, they are not much trouble to make." She remembered that "we were never allowed to go into the dormitories with our boots on. We had to put a pair of slippers on." Lessons were taken in the morning during the first week, and in the afternoon during the second, though Elsie remembers that they never had many lessons. 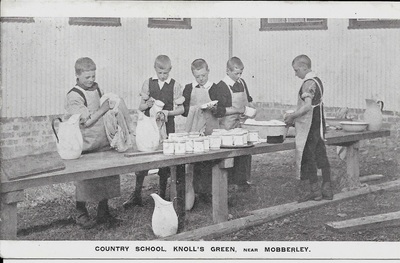 "When we had lessons in the mornings, we had to play in the fields while the bell went for lessons, then we had to go into lines and go into the schoolroom." After dinner the children went for a walk with the teacher, "nearly every day with her in the fields and lanes." The head mistress visited them on the Saturday. Whether these walks were meant to be educational as well as for relaxation is not clear. Elsie recalls that they "sometimes began to play at 'scouts'." This involved one girl being picked as an officer over the others, "and away we marched, she telling us when to 'halt'. She also kept time for us, so as to keep us in step." The teacher apparently watched and laughed at them, and passing people laughed also. "If any boys passed they would shout 'right' 'left' 'halt' and things like that, and then say something funny" which made the girls laugh. Elsie obviously appreciated the surroundings. "Just about where we were staying was all country and the fields were full of flowers. Over three hundred children can go at once. I believe all the girls out of the different schools enjoyed themselves" and she hopes that those going after her will do so also.